ELTRA Incremental encoders are used for position sensing in INDUSTRIAL factory automation and motion control. 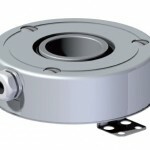 Rotary encoders (shaft/hollow-encoders) convert the angular position or motion of a shaft into an analogue or digital code. The output provides information about the motion of the shaft, which is typically further processed elsewhere into information such as speed, distance, RPM and angular position. 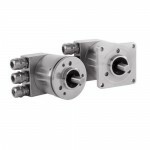 The output of ABSOLUTE encoders indicates the current position of the shaft, making them angle transducers.